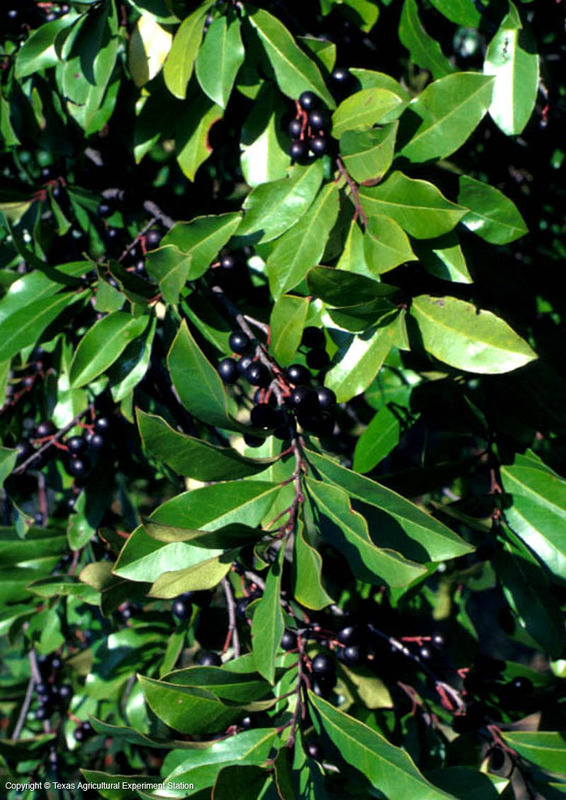 Cherry Laurel is a large evergreen shrub or small tree with dark glossy green leaves. It grows in deep, moist but well-drained bottomlands in southeast Texas. 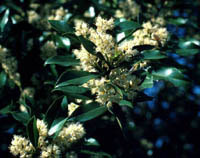 It is a fast-growing small tree, to 35 to 40 feet, that casts dense shade. With age the bark becomes almost black. It grows in most conditions but does not like high temperatures or hot, dry locations; it can also get chlorotic in blackland soil if it is not deep and loamy. 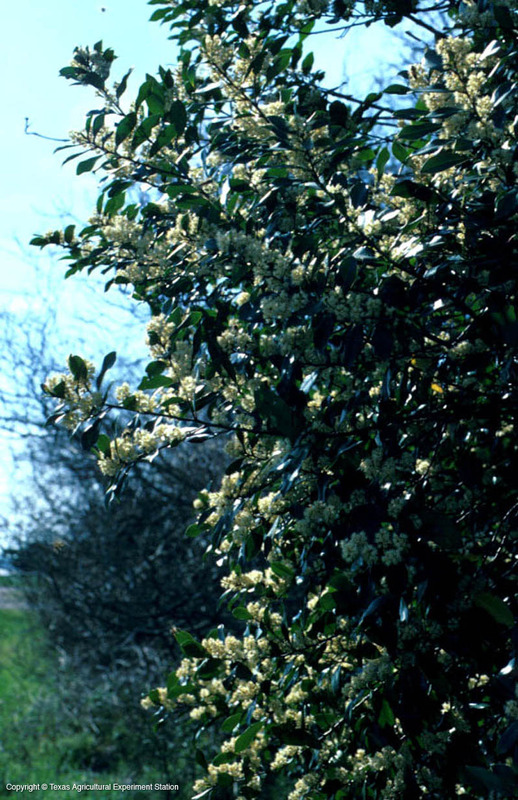 Cherry laurel is frequently planted as an evergreen screen in East Texas; it requires maintenance to keep as a hedge. The leaves and fruit have a high concentration of hydrocyanic acid and are potentially poisonous. 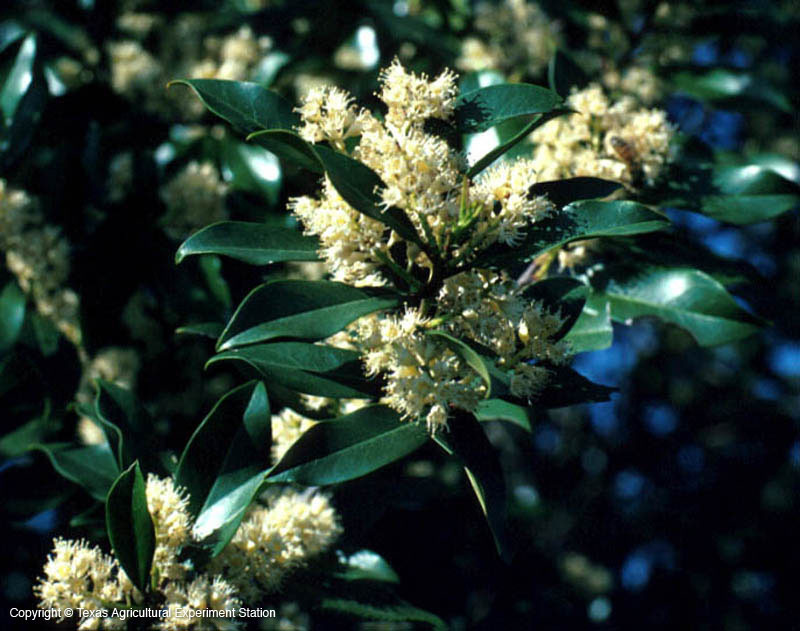 Height: 15 to 40 ft.
Width: 10 to 35 ft.
Additional Comments: In the 50s cherry laurel was widely planted from Dallas to East Texas to Houston. But a drought early in the decade weakened them and not many survived.